The discipline of human factors has much to offer, and much work to do, in sport and recreational aviation. Veteran US pilot, Jay Hopkins, in 2013, chose the ‘Human factor: a different approach to aviation accidents’ as the theme of his final article for the American recreational pilots’ magazine, Flying. He had been writing on human factors for more than 21 years, and subtitled that parting article, ‘Why smart people do dumb things’. Why does that experienced pilot with over 3500 hours fly a serviceable aircraft into the ground, becoming a fiery statistic? How is that cap overlooked after refuelling? (There was no fire at the crash site, because the aircraft had run out of fuel.) How did three technical specialists miss an owner-builder’s wrongly oriented cover plate, with potentially fatal consequences? They are all examples of where smart people missed cues that with 20/20 hindsight tempt the smugly complacent, ‘I would never have done that’. The reality is—we could, and we have. It’s part of being human, and it’s also why, in aviation, knowing how our brains work is just as important as knowing how our engines work, or the theory of lift and drag. Understanding how we perform and our human limitations: how we process information, react to stress, fatigue, alcohol, and how we interact with our environment—natural and man-made—helps us to put strategies in place to avoid becoming statistics. This goes to the heart of why an understanding of human factors and putting that knowledge into practice are critical for aviation safety. The aviation focus on human factors began in airline transport in the 1980s, with cockpit resource management, which evolved into crew resource management. This is hardly surprising, because the crash of a passenger jet is hugely significant, in potential loss of life and economic impact. In its early days, one of the main concerns of HF was flight crew communication and its impact on aviation safety; for example: the authority relationship between captain and first officer, which came to be known as the cockpit gradient. More recently, however, aviation human factors has seen a broadened focus. It now includes other sectors, such as engineering and recreational/sport aviation, as well as looking at a greater range of factors, such as human performance, human error, design and how human beings interact with their environment, and technology in particular. Sport or recreational aviation does not have many of the intrinsic safety buffers of airline transport. The stakes are high, so by necessity, airline transport is highly process/systems driven, with numerous inbuilt checks and balances. 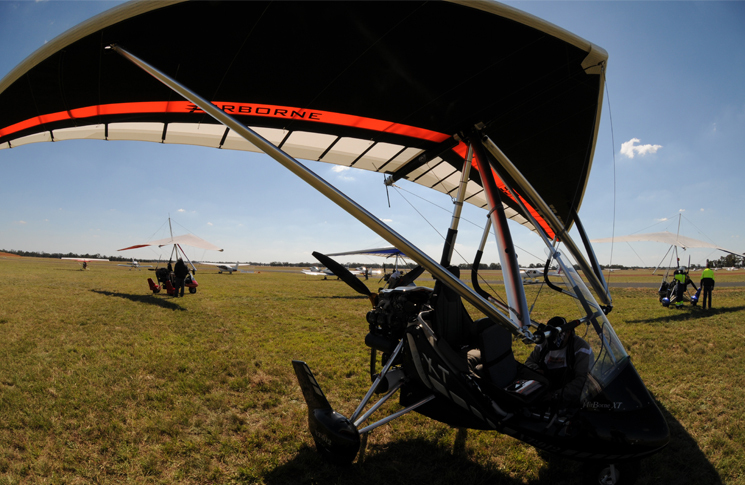 Sport or recreational aviation is more vulnerable—as a weekend or recreational pursuit, for example, it is more challenging for participants to remain current, and build experience. The very things too, which attract people to sport aviation: the freedom, the adrenalin rush of risk-taking and individualism, work together with our human performance limitations to raise the stakes. The sport aviation owner/builder also often has ‘to boldly go where no one has gone before’, especially if they are building a one-off design. They should take into account all the HF design and installation issues to which airline transport original equipment manufacturers (OEM) devote vast research and development teams and budgets. How will they solve the panel ‘real estate’ issues? What is the best HF solution to ensuring the pilot can view, read and reach the controls/instruments? Are the everyday fasteners and fittings at ‘Bunnings Aerospace’, tempting as they may be, a safe solution? In an aviation context, the hardware chain’s slogan ‘lowest prices are just the beginning’, has a grim resonance no aircraft builder should ignore. What HF considerations are there in panel glare and colour? To help promote a greater understanding of human factors and improve sport aviation safety by putting that knowledge into practice, CASA is developing a sport aviation-focused human factors e-learning course, which will be available on the CASA website in March 2017. There are five modules in the course, which takes sport aviation participants through topics such as our human performance limitations—how we process information, memory etc. ; stress, fatigue, alcohol; decision making and situational awareness. 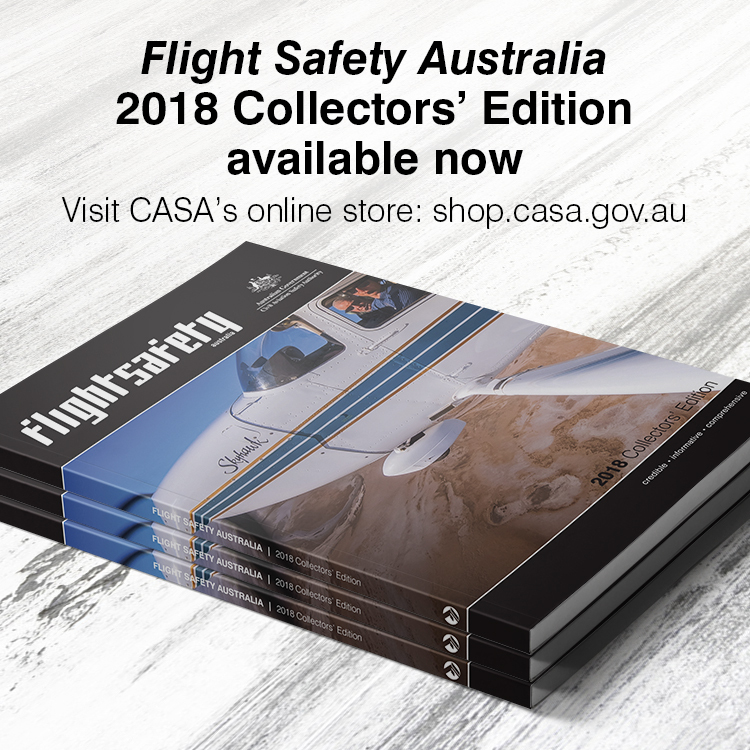 It will be widely publicised through Flight Safety Australia, CASA social media and the various sport aviation organisations and publications—so keep an eye out for it in March. 1Human Error and General Aviation Accidents: A Comprehensive, Fine-Grained Analysis Using HFACS. Civil Aerospace Medical Institute Federal Aviation Administration Oklahoma City, OK 73125 December 2005. This extract from Fred Moreno’s article, ‘The 7 Ps, or proper prior planning prevents piss-poor performance’ highlights HF at play in aviation—the effect of our human limitations and how these can be managed safely. A recently completed kit aircraft was presented to the authorised person (AP) for review, sign-off and issuing of a certificate of airworthiness for the phase 1 test flight period. During construction, the plane was regularly inspected by three technical counsellors (TCs): two familiar with airframe and engine type, and the third assisting with document review and preparation for AP review. In short, construction and assembly were carefully checked. Because the owner had no time in type, and because of the high incidence of accidents on first flights, the AP required that a test pilot experienced in type fly the first five hours, and that the first flight be covered by a builder-prepared safety plan including planning, restrictions, operations, and contingencies. The safety plan was prepared and accepted. It included provision for a chase plane to follow the new aircraft during the first flight, planned to be about thirty minutes. Before the first flight, the aircraft went through several ground engine tests and several high-speed taxi and braking tests. The chase plane, an RV with a clear canopy providing an excellent upward view, departed immediately after the test aircraft and formed up behind and below. The test pilot reported normal operation with climbing oil temperature, expected with the new engine. The two aircraft climbed, with the chase plane maintaining position below and behind. Oil temperature stabilised at 230 degrees F, high, but normal for the first hour or two of engine break in. The test pilot then reported he was returning immediately to the airport, made a low-power descent and approach, rolled out on the runway, taxied to the hangar, and shut down. Oil drained onto the taxiway and covered the entire belly. The chase plane landed, taxied up to the hangar, shut down and the pilot gave his report. Following below and behind and looking up against a white overcast sky, the chase pilot detected a faint stream trailing out behind the test aircraft. He reported this to the test pilot and they agreed to make an expedited return to the airport. The oil level was checked and two litres found remaining. Given the flight time it was calculated that the remaining oil would have been exhausted in about two minutes and engine seizure would have followed shortly. Had the chase plane not been watching carefully, the test aircraft would have ended up in a hilly paddock near the airport. A forced landing was narrowly avoided. The safety plan had saved the day. What could have been an accident was just a wet belly incident. Investigation required a full engine wash down, oil refill, and then ground run with cowl off which showed oil squirting out from the flat plate that covered the propeller governor mounting position. Having a fixed pitch prop, no prop governor was used. The cover plate, supplied by the kit manufacturer for this kind of installation, has a square stud pattern for attaching the plate. But the plate is not square. It was ever so slightly rectangular. It turns out the plate and associated gasket was installed rotated ninety degrees from the correct position. The gasket was covered with gasket cement on both sides before installation, and the gasket cement oozed out around the periphery of the plate when the nuts were tightened on the studs. The gasket rotation brought a hole in the gasket very close to the edge of the plate with only a tiny sliver of gasket sealing this region. As the new engine was run at prolonged higher power on the first flight, the oil temperature rose to 230 degrees F after a few minutes, high enough to soften the gasket cement and let the short sliver of gasket blow free providing the pressurised oil a great exit path that sprayed about a litre per minute of oil everywhere. Extract reproduced with the author’s permission. Fred Moreno’s complete article appeared in Airsport in March 2014. Thank you CASA for these excellent posts. I have been flying for 52 years and still these help learning.